Runs out of the box. 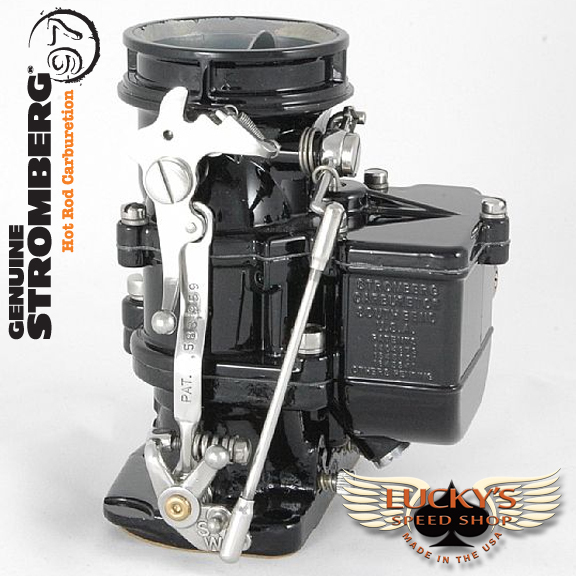 The BIG97 Secondary carburetor is designed ONLY to be used in multiple carburetor systems, connected to a BIG97 Primary with a progressive linkage. BIG97 Secondaries have no power valve or accelerator pump circuits, but keep chokes, idle and transition circuits for steady idle and good low throttle manners. 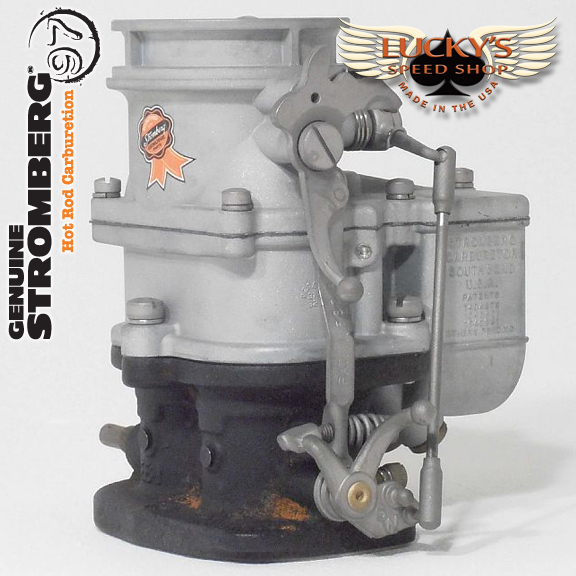 Dummy accelerator pumps retain the classic 97 look. BIG97s move up to a 1.175in venturi with super-efficient 20 degree entry angles. And flared exit cones build power by slowing the mixture down to reduce turbulence into the manifold plenum. The result? 250cfm per carburetor. Allowing all cylinders to draw from both barrels gives you dual-plane drivability with a single-plane style top end horsepower. Accepts big diameter 5/16in hard line (regular 97s take only 1/4in line), plus regular Stromberg fuel fittings. 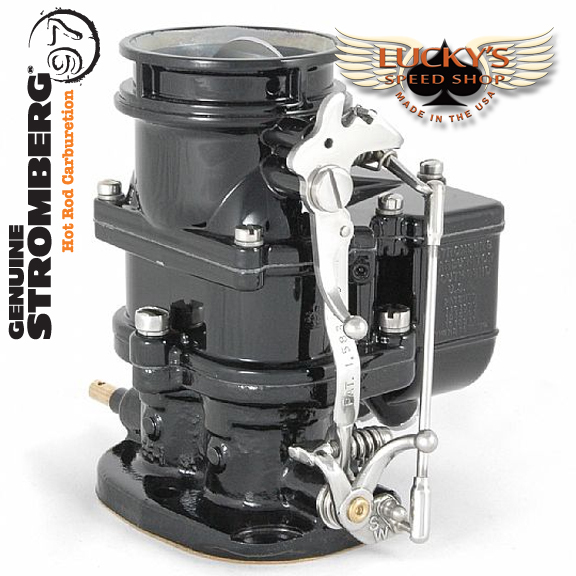 Everything that makes the Genuine Stromberg 97 so popular is built into the all-new BIG97. From the cast iron base to the reinforced air horn casting and everything in between. BIG97s come ready to run with the following jetting (see below). 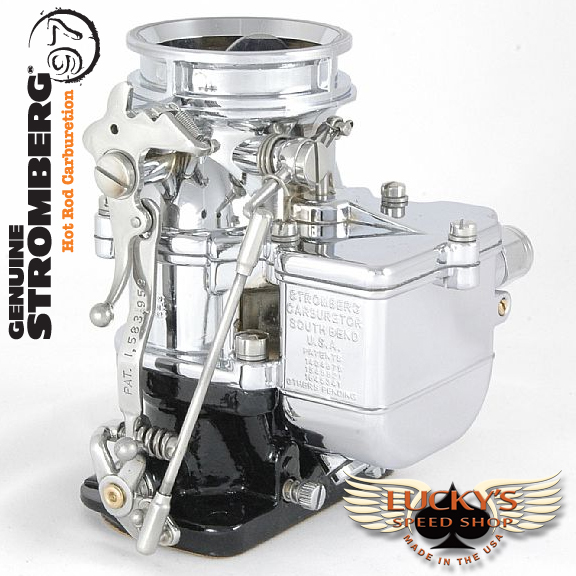 As with any carburetor, rejetting may be required for other applications, high altitude, local gas, ethanol content and more. A wide range of jets and power valves is available. 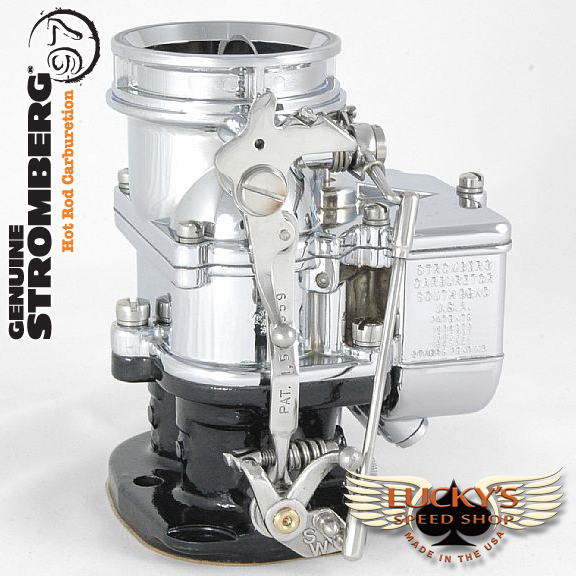 BIG97s are available in the full range of Stromberg finishes: Original Equipment style, Chrome, Black & Chrome and Barn Find – all from stock. Remember, like any carburetor, BIG97s need proper installation and tuning for optimum performance. Every BIG97 comes with full installation instructions and you can find more help on our Tech Center. 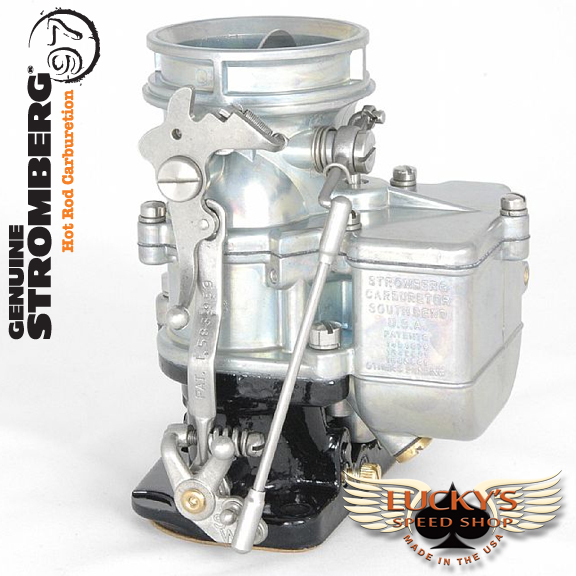 NOTE: These carburetors are not designed to meet any emission requirements for 1968 and later applications. Therefore, they should be used only for competition/off road vehicles or vehicles not required to comply with late model exhaust emission standards. Original hand throttle parts are not included. As you may know, Speedway Motors has made an attempt to build a cheap 97 carb to compete with the Genuine Stromberg 97 we have carried for nearly three years. In this time in our economy, it is even more important to get the best value for your dollar. Value does not always mean less expensive. You still get what you pay for! 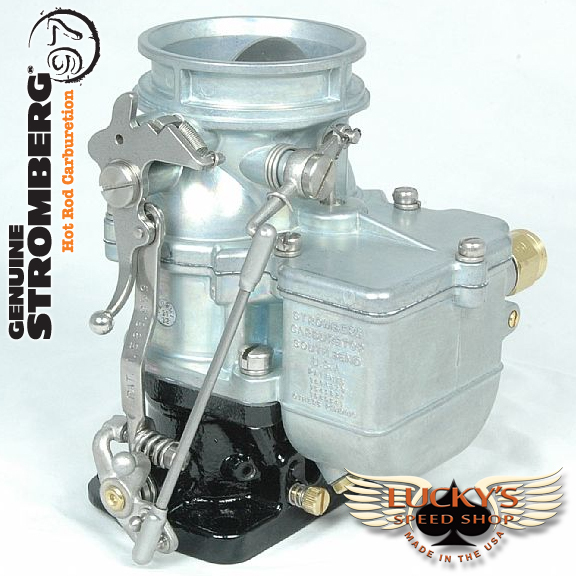 Remember, our company was built on carrying quality parts while providing extraordinary customer service… We only carry Genuine Stromberg Carbs and Parts! 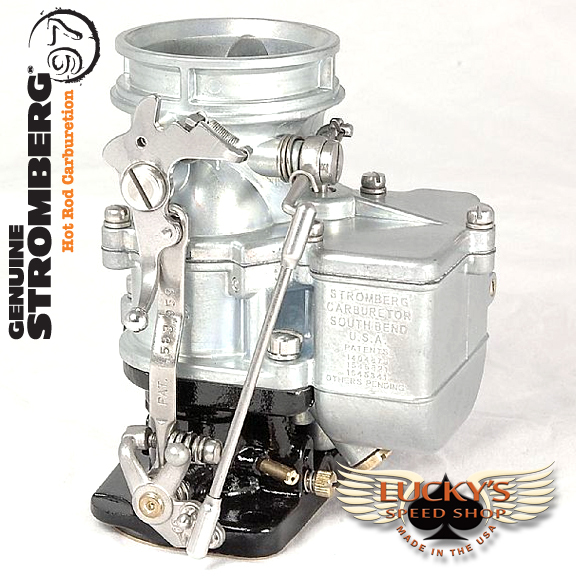 Click here for Genuine Stromberg 97 Comparison and an Independent Evaluation of the Speedy 9 Super 7.